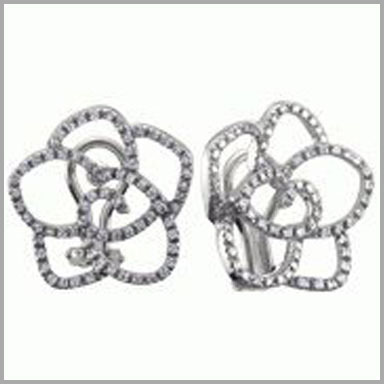 Crafted in polished 14K gold, these flower earrings each feature 56 full round cut diamonds in prong settings. The total diamond weight is approximately 0.56ct with a color of H and clarity of SI. they have posts with omega backs.